shopnewbalance.com: Fulfill your need for speed. Fulfill your need for speed. Run faster. Reducing weight can eliminate precious seconds, or even minutes, off your time on race day. Run longer. Feeling lighter on your feet also allows you to conserve your energy so you can run longer than you may have in a traditional running shoe. If you’ve never tried a lightweight running shoe before, New Balance just released an affordable entry into this popular category: the New Balance 690. 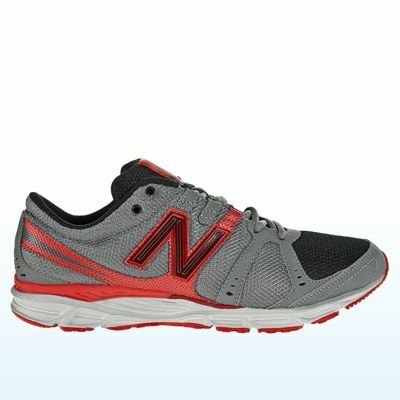 Priced at just $74.99, the New Balance 690 men’s shoe weighs in at 9.8oz and the women’s at just 7.8oz. The synthetic/mesh upper enhances the shoe’s lightweight feel and gives it a modern look that you’ll want to wear for more than just running. But the 690 isn’t all about looks. New Balance’s proprietary Abzorb® cushioning has been added to the heel to reduce impact on heel strike, plus it’s built on a performance outsole that’s designed to last. Joining the New Balance 690 this season are several other lightweight styles. The popular 890, featuring REVlite—New Balance’s lightest midsole foam to date—returns with new color choices. In between this premium runner and the 690 is the New Balance 790, a strong performer with a sculpted midsole for explosive speed. For competition, New Balance debuts the 1400. With a REVlite midsole and no-sew upper it’s ready to break records. Whatever level of performance you require, you’ll discover these lightweight runners will make a difference in your runs. Experience the lightweight revolution for yourself with the New Balance 690, available at shopnewbalance.com now.